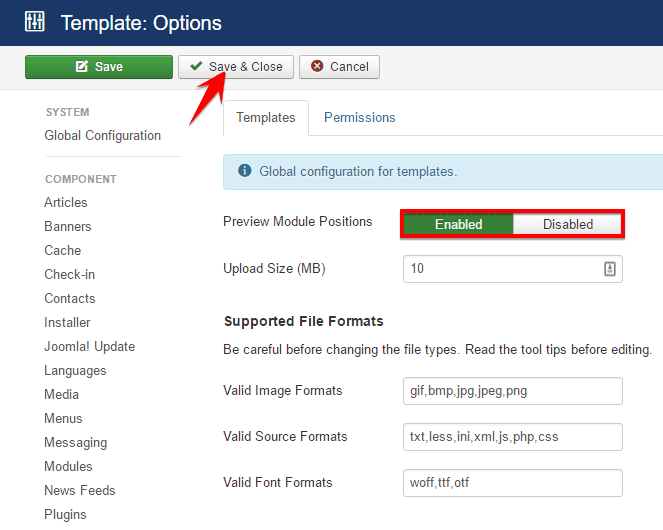 Its an absolutely simple procedure to preview module position in Joomla templates owing for developing website. To do so, follow the instruction below. Click on the Options button at the right top of the configuration module. Make sure that the Preview Module Positions is set Enabled. Now, inpute your website URL on your browser's tab and after the URL just write `?tp=1' and press enter button. Here, tp means Template Position. 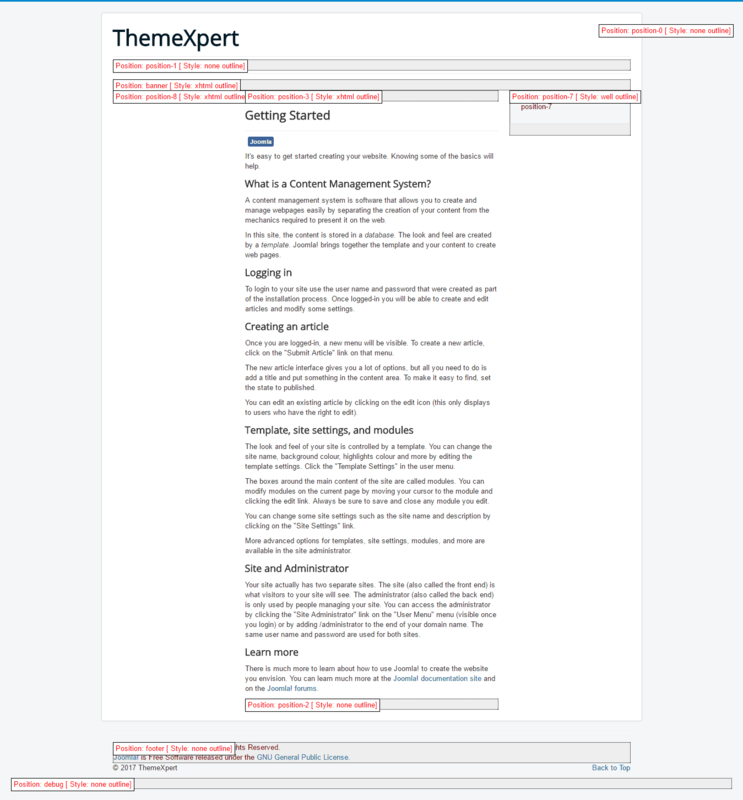 Now, the front-end appearance should be like below with showing all your website's module positions where to place a module according to your need.